I begin teaching shifting with a method that teaches fourth position. This could be Fourth Position Preparatory Studies (for younger students), Fourth Position for the Cello (for most students), or Fourth Position Study Method for Cello (for adult students). 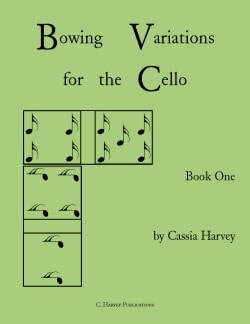 I supplement these books with Fourth Position Pieces for the Cello and Flying Fiddle Duets for Two Cellos, Book One, and repertoire that uses fourth position. 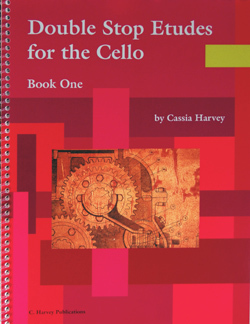 Then, as soon as the student has learned a bit of fourth position (maybe 20-30 pages of a book), I teach second position using a method: Second Position Preparatory Studies (for younger students) or Second Position for the Cello (for older students). I usually supplement this with Finger Exercises for the Cello, Book Two. After the student has gotten comfortable with second position, I start teaching them third position. Third Position Preparatory Studies (for younger students) or Third Position for the Cello (for older students) can be used. I continue to finish the Fourth and Second Position books they are working on. Supplements could include any of the shifting books below and plenty of repertoire that includes positions one through four. Fifth position and tenor clef are next; the student is ready for Late-Intermediate books at this point. Introductory studies in fourth position for the first-time shifter. This is a comprehensive method for teaching fourth position on the cello. Check out our special fourth position page for studies, duets, and repertoire for the fourth position student! Do your students need more explanation and more pictures? This book was written with adults or older students in mind and is a downloadable PDF ebook. 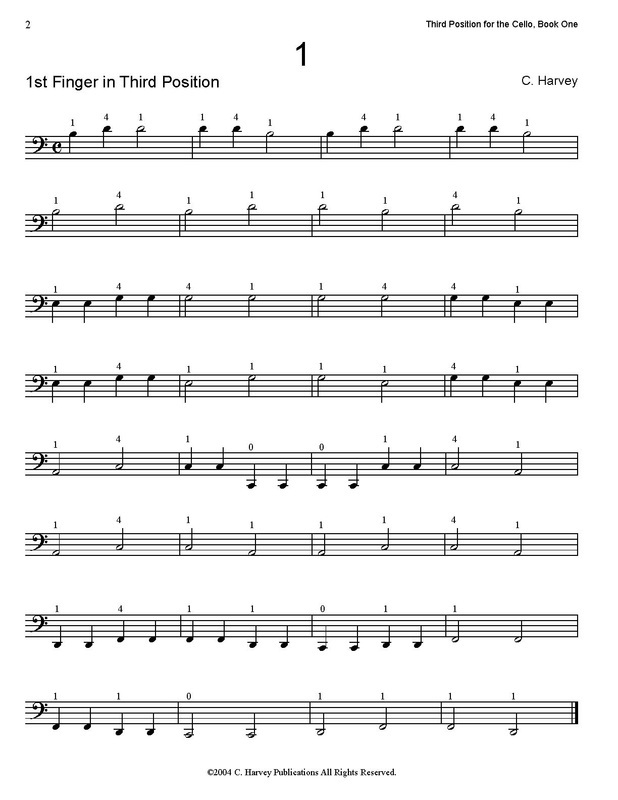 A complete method for learning fourth position using exercises and related short pieces. 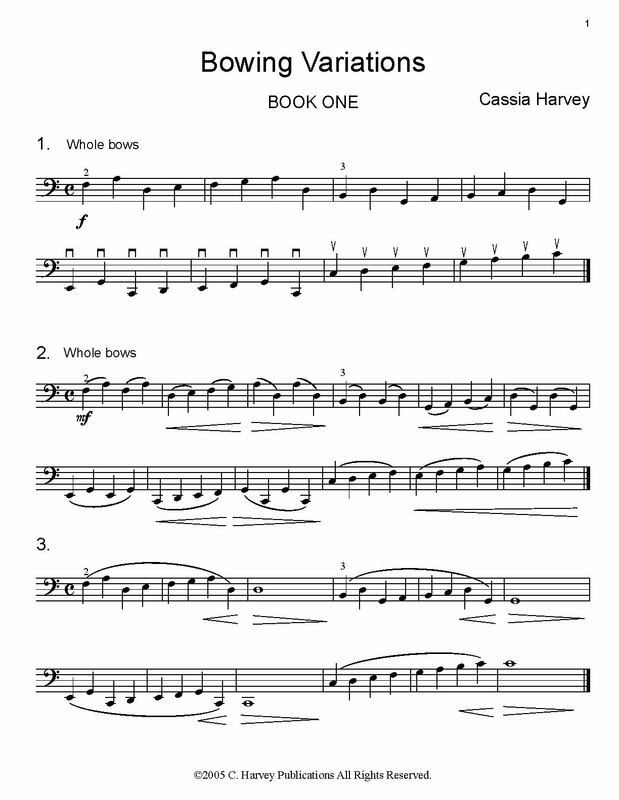 Introduction to second position, with an emphasis on shifting, for younger students, students with reading issues, or those just starting out in positions. A method for teaching second position on the cello. 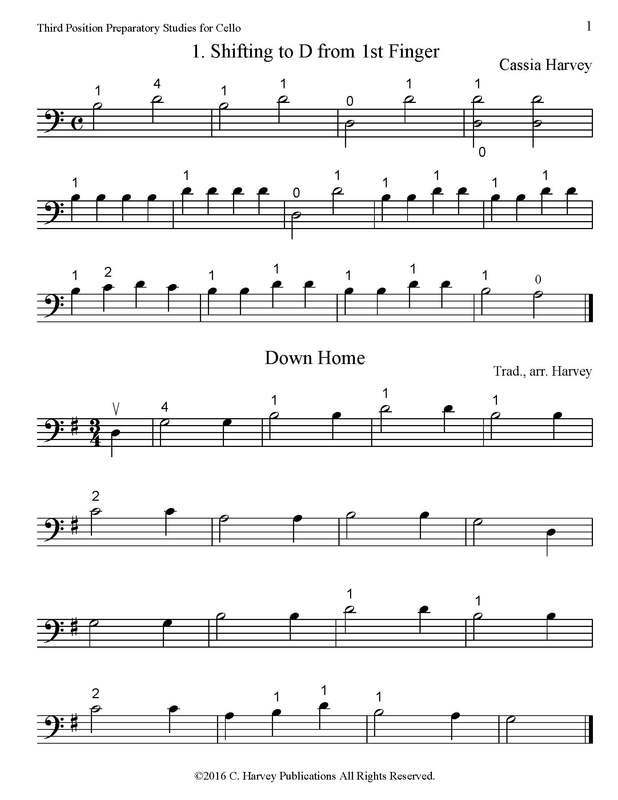 Short exercises are combined with pieces that teach the same note or skill as the exercise. 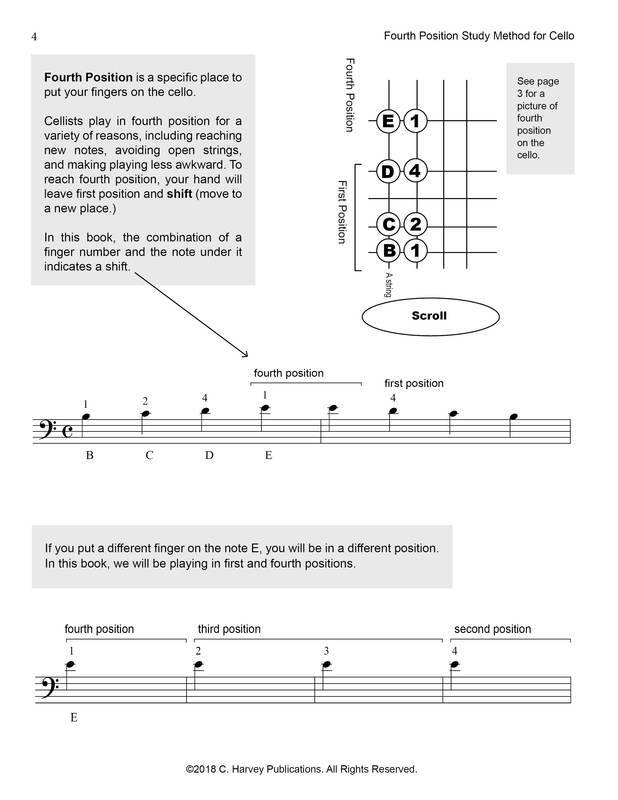 Introduction to third position, with an emphasis on shifting, for younger students, students with reading issues, or those just starting out in positions. 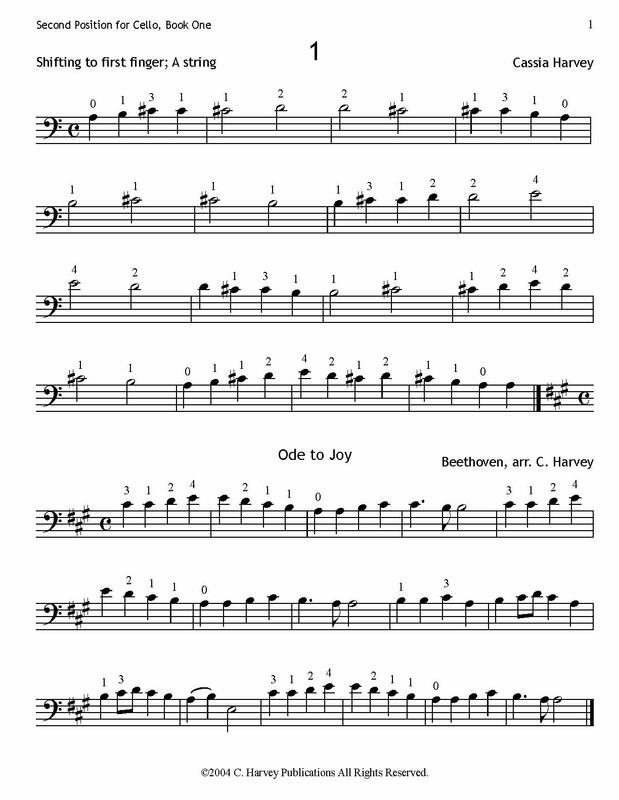 Short exercises and pieces that introduce cello fifth position to the student who is a novice in the higher positions. 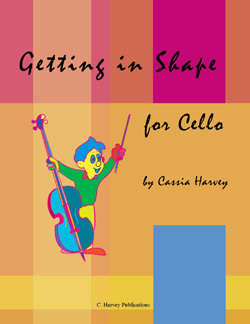 A comprehensive method for teaching fifth position on the cello using exercises and short pieces. 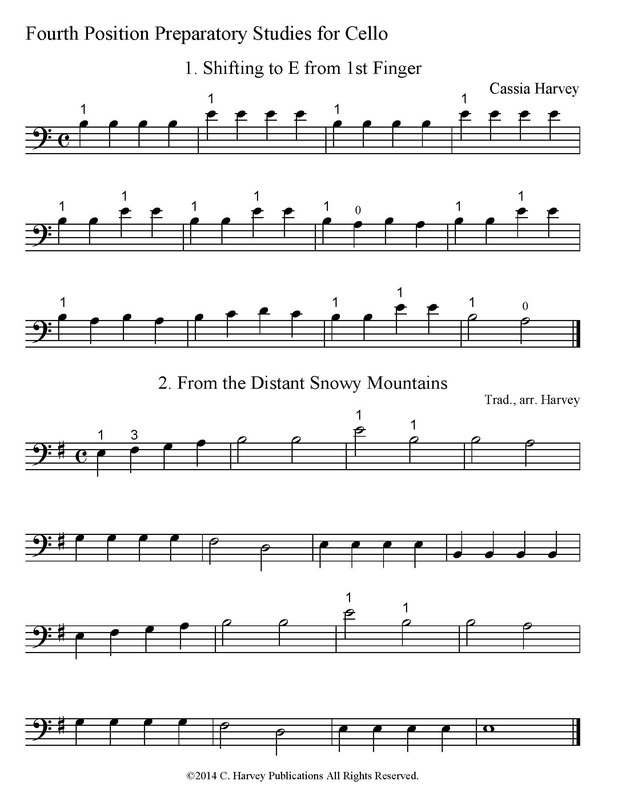 Beautiful method with exercises interspersed with short pieces and duets. look inside Violoncello Tutor - Volume 3 Composed by Antal Friss. EMB. Published by Editio Musica Budapest (HS.50510814). Another volume of the beautiful Hungarian cello method. look inside Violoncello Tutor - Volume 4 Composed by Antal Friss. EMB. 88 pages. Editio Musica Budapest #Z5949. Published by Editio Musica Budapest (HL.50510792). 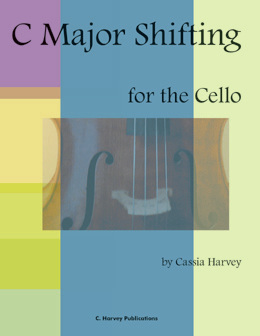 A well-thought-out book of cello exercises and studies. 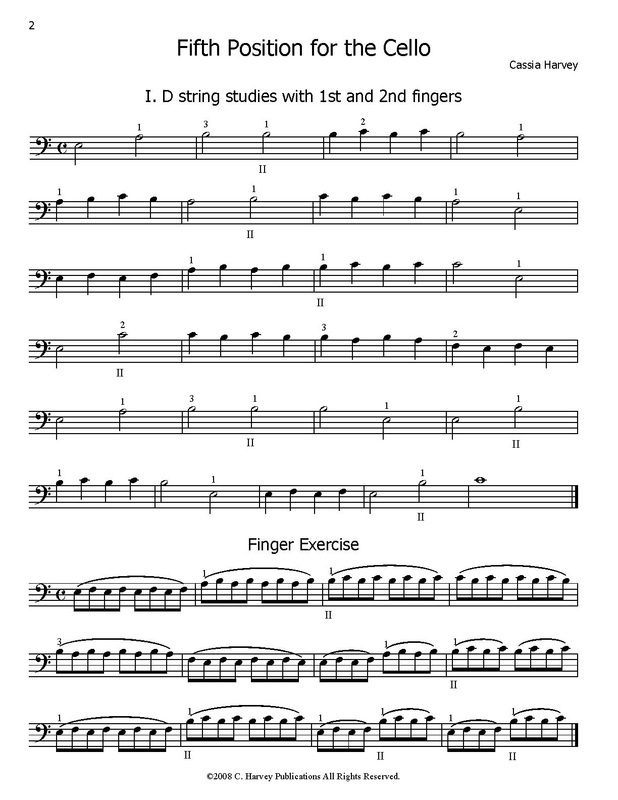 look inside The Development of Cello Hands A Supplementary Method for Developing Basic Technique for Beginning and Intermediate Students. Composed by Lillian R. Goodman. Book. With Standard notation. 64 pages. Theodore Presser Company #417-41021. Published by Theodore Presser Company (PR.417410210). While the method itself doesn't have a lot of material for teaching shifting, the huge section of etude-duets in the back has a lot of supplementary material. look inside Violoncello Method Cello Method. Composed by Friedrich August Kummer (1797-1879). Edited by Leo Schulz and L Schulz. String Solo. Studies and Learn To Play. 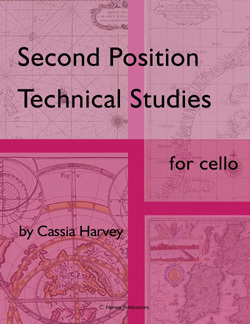 Cello studies book. 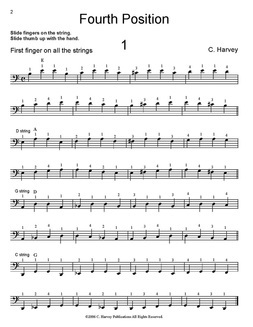 With introductory text, instructional text, standard notation and fingerings. 125 pages. G. Schirmer #LB1169. Published by G. Schirmer (HL.50258060). Not an exhaustive method by any stretch but it does cover the intermediate positions. Wish he had included more material! look inside Violoncello Method Volume 2. Composed by Justus Johann Friedrich Dotzauer. Edited by Johannes Klingenberg. Classical. Softcover. With Standard notation. 48 pages. Carl Fischer #O003675. Published by Carl Fischer (CF.O3675). 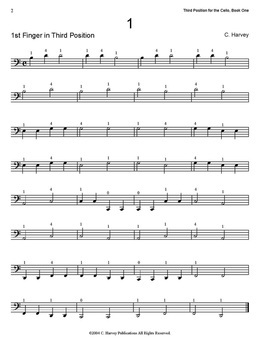 look inside Fundamentals of Violoncello Technique - Volume 2 Composed by Francis Grant. Books/Methods. Published by LudwigMasters Publications (LG.10300102). 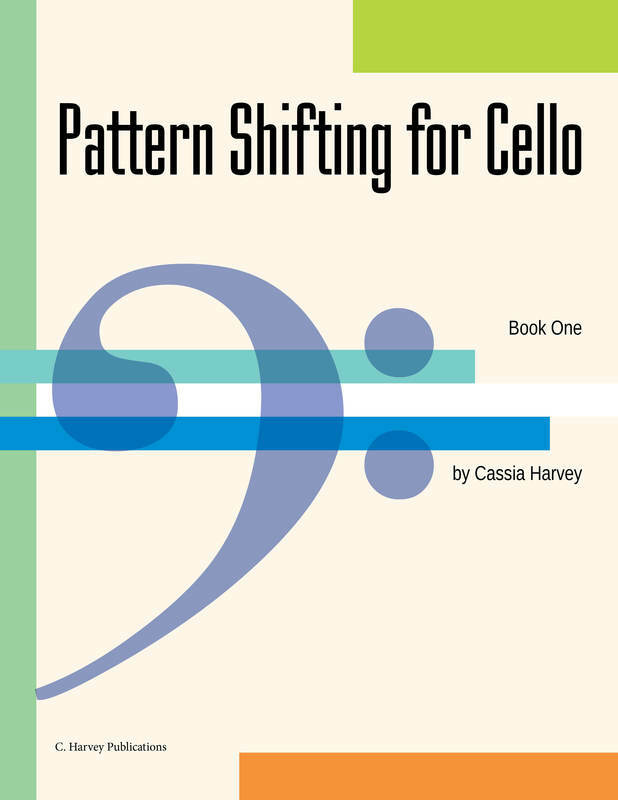 While I have never been able to successfully use this book to teach shifting or positions, it is nevertheless a good supplemental book, especially for learning to play across strings in positions. look inside Position Pieces for Cello String - (Suzuki) Supplementary; Suzuki. Instructional. Instructional book. 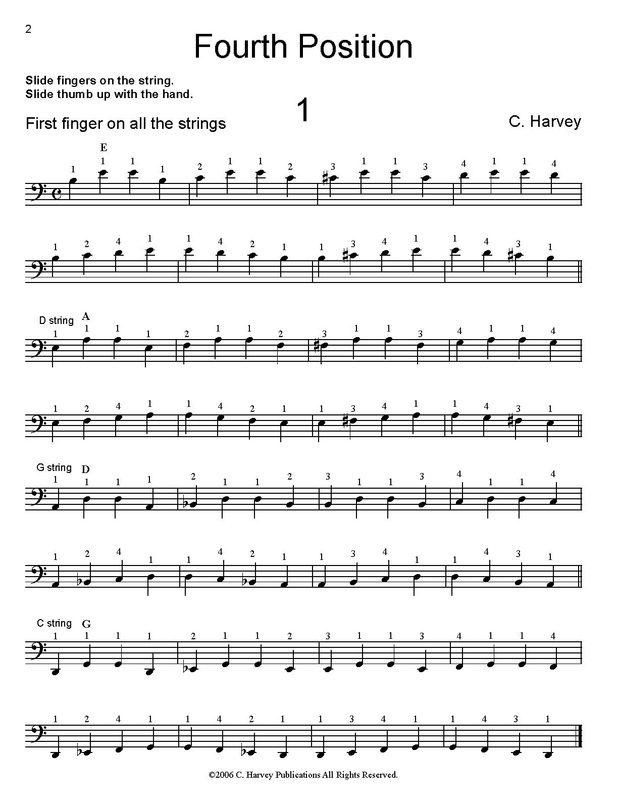 With introductory text, standard notation, fingerings, bowings, instructional text and instructional photos. 63 pages. Alfred Music #00-0762. Published by Alfred Music (AP.0762). 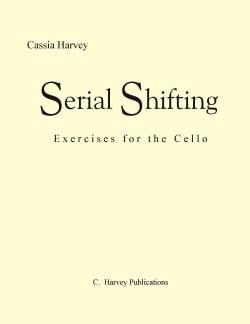 Extra shifting practice for the intermediate cello student. Agility studies in fourth position. 24 short shifting studies in first through fourth positions. A great way to transition from the position methods into using all four positions. This book ties the first four positions together with exercises in rows and patterns. The second half of the book goes up through eighth position. Exercises and pieces are presented in first position and then in first and fourth positions, making this an ideal book for mixed-level string classes. Slightly simpler than Serial Shifting but in a similar format, this book is a downloadable PDF ebook. Exercises that use first and second positions. 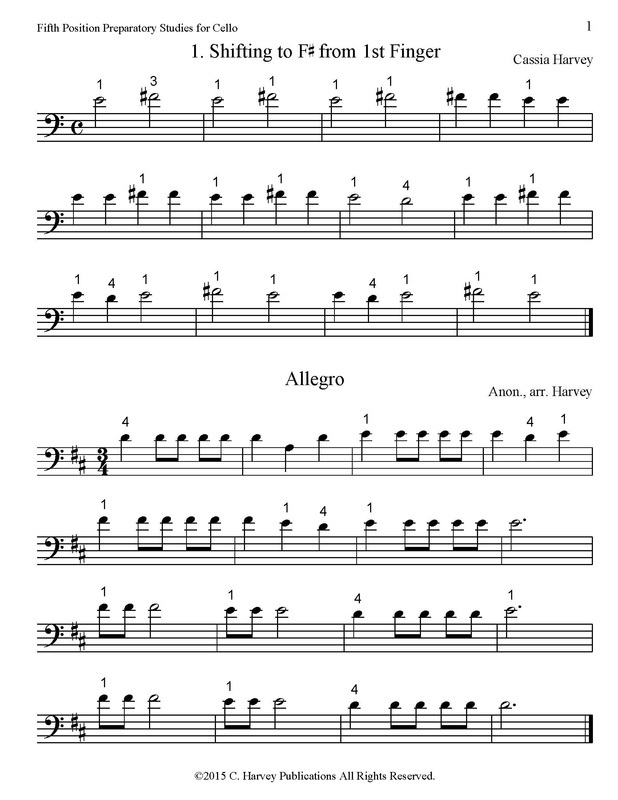 Exercises and pieces are presented in first position and then in first, second, third, and fourth position. Also ideal for string classes. Builds agility and strength in extended first position, then fourth, second, and third positions. 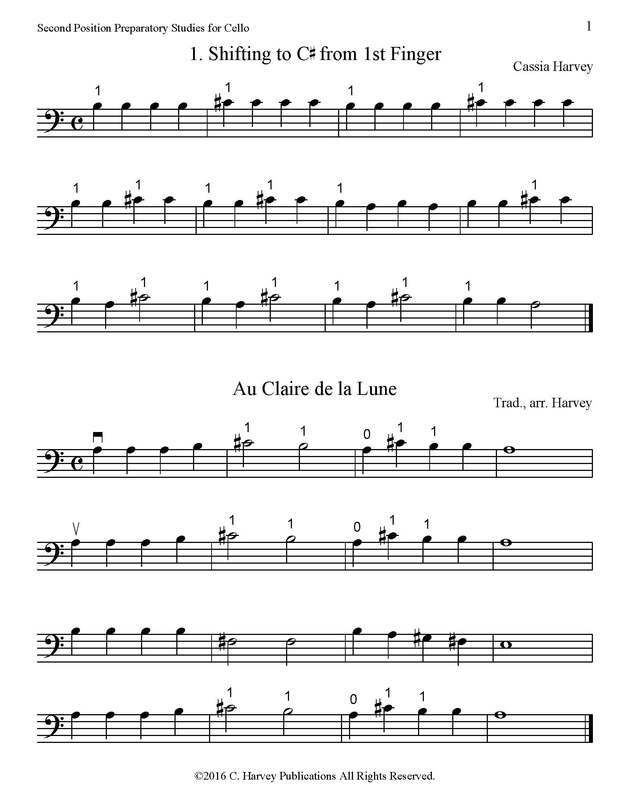 These etudes use first through fourth positions but all of the double stops are in first position. 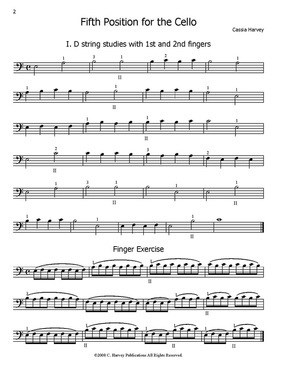 These finger exercises are wonderful for building left-hand cello technique. 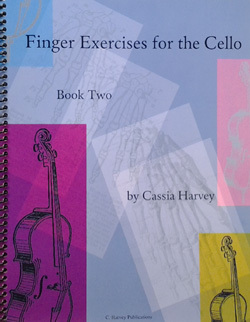 First focusing on agility in closed and extended first position and then progressing to double stop finger exercises and position work, this is a great addition to cello literature. look inside Tagliche Ubungen, Band I Composed by Julius Klengel (1859-1933). For violoncello. This edition: paperback. Edition Breitkopf. 32 pages. Published by Breitkopf and Haertel (BR.EB-3110). 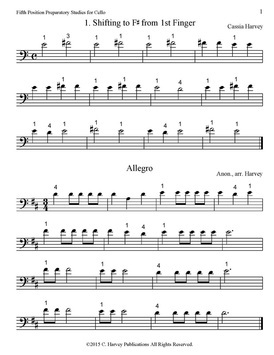 The 100 variations in this book (all in first position) teach a number of different bowing skills including legato, spiccato, staccato, and more. look inside Bow Strokes for Cello Composed by Anita Hewitt Jones (1926-2007). Studies. Education. Cello Part. Published by Musicland (PE.M01078).